Posted on May 29, 2016 Categories agriculture, farming, transparencyTags Big Food, Big Pharma, free range, intensive piggery, pork, productivism9 Comments on Big Pharma, Big Food… who really controls the pig industry? This is the first of what I aim to be a series on the negative impacts of food safety regulation on small-scale production and freedom of choice in Australia. This first instalment details the story of how Victorian meat regulator PrimeSafe destroyed all our salamis last year. I will seek permission from other salami day hosts to share some more stories of PrimeSafe actively shutting down salami workshops across Victoria (of which I know at least three in addition to us). Future posts will explain the minutiae of regulation and compliance for small-scale meat, dairy, & egg producers, as well as butchers, providores & chefs with a story to tell – if you have one, I’m happy to host guest posts on this topic. The late-model government vehicle rolled up the driveway just before 3pm the day before an early-morning flight to France. Taken aback, I answered that yes, we were going to research traditional methods of charcuterie and salumi making in France and Italy. It was obvious that neither PrimeSafe’s surprise visit nor their knowledge of our travel plans boded well for us. The Inspector asked whether we had allowed participants in our recent salami day to take home salamis from the workshop and we replied that yes, we had. She told us this was a ‘very serious breach of the Act’, to which we confessed our ignorance and apologized for the mistake. NB: we never received written notice of the complaint – all of this was delivered verbally to us by The Inspector. The Inspector told us that it appeared that there was ‘somebody in the industry who doesn’t like you very much,’ judging by the complaint. She asked to be taken to the salamis hanging just behind us in the salami shed in plain view from the driveway, and whether they could take some photos. I laughingly responded that there were photos all over the internet, and that they were in fact our Facebook cover photo at the moment. That’s the last time I laughed. She then asked to see our licensed retail butcher’s shop here on the farm. We complied and they found nothing of concern. 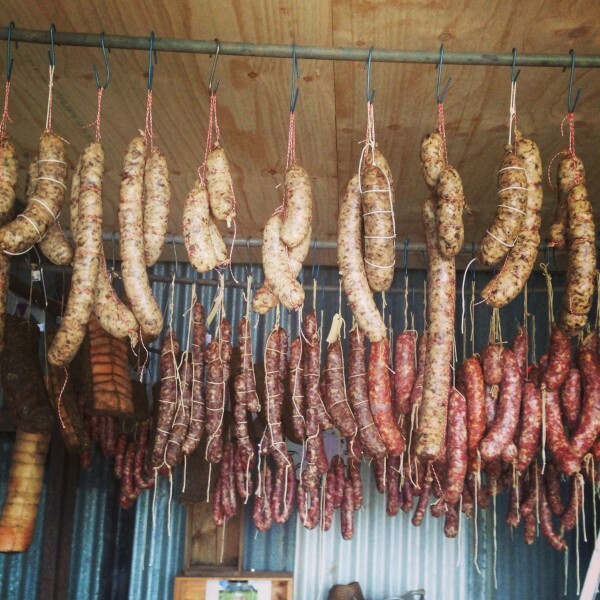 The Inspector then asked to be taken back to the salamis, noting on the way there that she needed to tell us something ‘we would not be happy about’ – that an outcome of their visit may be that they would have to destroy all our salami hanging in the shed. We asked why that would be when it is not part of our commercial business and is solely for our own consumption. She said we shouldn’t talk more about it now, but that she simply wanted us to be prepared for something that might happen that we wouldn’t like. 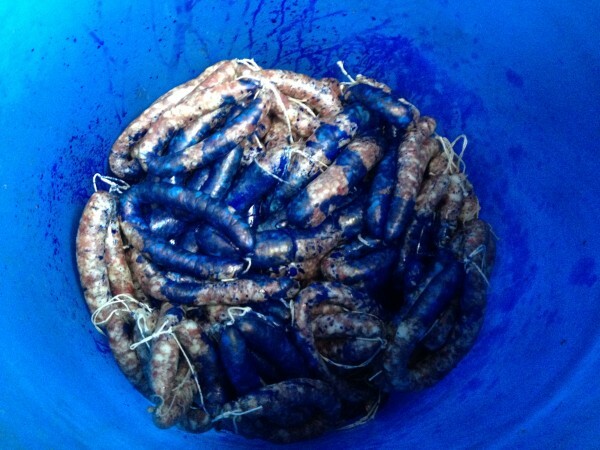 We offered to email all participants and ask them to dispose of the salamis they had taken home and apologise, telling them we had made a mistake and that we were not legally allowed to let them take the salami home. The Inspector said she would tell the CEO of PrimeSafe that we had offered to do this, and that it would reflect favourably on us that we had offered. The Inspector rang the CEO for advice on whether the salami hanging in the shed had to be destroyed. She asked us to move away while she had this conversation. When she got off the phone she conferred with her colleague. They then waved us back to the shed. The Inspector said ‘you’re not going to like this’ and proceeded to tell us that we were going to have to destroy all the salami. She said we had two choices, one was to cooperate and help take all the salami down to be condemned, and the other was to refuse to cooperate, in which case she and her colleague would go and wait at the bottom of our driveway for the police, who would forcibly return and destroy the salami with them. She suggested it would not go as well for us if we opted for the latter, and that she had pleaded our case to the CEO and ‘kept the boning room out of it’. She asked us to cooperate on the basis that she was trying to help us, and that she believed that we were being honest, but that if we didn’t comply, she couldn’t promise she would continue to help us. At this stage I burst into tears, and said ‘you don’t understand how important it is to us not to waste anything’ and that it was disrespectful to take an animal’s life and then destroy the meat. We reiterated that the salamis were for our own personal use, and that we had no intention of selling them, and that we would be more than willing to sign an undertaking to that effect. The Inspector asked me to compose myself, saying it ‘bothered her’ to see me upset. I said this whole event was upsetting. I queried whether the shed was arguably actually a residence as it’s not part of our licensed premises, and The Inspector said ‘no, it’s land’. She said she could go anywhere on our land because we are PrimeSafe’s licensee. Another 20 minutes of discussion and phone calls to the CEO resulted in nothing except reminders that if we were cooperative it was likely to ‘go better’ for us. Our children returned from school and were standing nearby. The Inspector asked whether we could send the children into the house as they appeared distressed and shouldn’t see me upset. I replied that of course they were distressed as they hate waste as much as we do, but that we would not send them away as we share everything with our children and want them to understand the world in which they live. We also had our four WWOOFers working on a pump about 15m away, and The Inspector said ‘there’s a crowd drawing, and this is when inspectors get hurt’, to which I replied that it was outrageous to suggest we were being in any way threatening. She agreed, but asked us to ‘understand her position’. She also asked us to be calm and go in to destroy the salami ‘in a civilised manner’. I replied that there is nothing civilised about coming to our home and destroying meat from animals we raise with such care on our farm and kill purely for food, in a world where people are hungry. Before the destruction began, we asked whether we could just take the meat inside and eat it ourselves, feed it to our dogs, or have it tested, but the answer was ‘no’. The Inspector instructed Stuart to get a bin, preferably something the dogs couldn’t get into and that wasn’t a food safe bin as the ‘condemnation ink’ was toxic and might kill our dogs or contaminate food bins. He complied and got a large barrel. I climbed a ladder and removed all of the salamis while my boys filmed me doing so. The Inspector got back on the phone with the CEO while I took the salamis down and asked her colleague to stay near us. The Inspector said it was good we were going away for three weeks the next day to give time for PrimeSafe to decide what to do so that it was less likely to affect our day to day business. She said our next planned workshop upon our return in July may not be allowed to proceed. I asked what jurisdiction PrimeSafe has over our workshops if it doesn’t involve any meat for consumption or sale. She said the shed is a ‘meat processing facility’ because we are PrimeSafe licensees. NB: subsequent legal advice identified no prohibitions in the Meat Industry Act on operating the workshops in the salami shed. We asked again whether we should email all attendees and ask them to dispose of their salamis. The Inspector replied that that was up to us, and there was no requirement to do so. And so we’re telling you now, world. We’ve turned our own sadness and anger into action, and we’re ready to fight. We want to and we do produce safe food, but we produce something so much more than just safe. We produce food that nourishes our land, our family, and our community. We produce food in ways that value connection, flavour, and regeneration. This regulator has been left unchecked for too long. It’s time you let your government know what kind of world you want to live in and what kind of food you want to eat. If you’re happy with imported, frozen meat manufactured into pale imitations of traditional smallgoods by Big Food, so be it. If not, this fight is your fight too. With all the pressure PrimeSafe are under now that the Minister has announced the review, the cynical side of me is waiting for someone to manufacture or highly dramatise a food safety incident to regain the public’s sympathy and fear. So here’s me putting it on the public record to stave off that possibility or at least date stamp our awareness of that particular tactic. And here’s hoping my cynicism is misplaced and that our government wants fair and consistent regulation just like we do. Last time you ate out for breakfast, did your menu have free-range eggs, fair trade coffee, and organic milk on it? What about the bacon – was it free range? Probably not. In fact, 70% of pork smallgoods in this country are made from frozen imported pork from pigs grown in even worse conditions overseas. On the very minor chance that the menu said ‘free range’, did you ask where from? Because of course we all know a lot of ‘bred free range’ bacon is sold as free range, so it’s worth knowing the difference and which farms are which. I’m not going to name names of cafes, providores, butchers and indeed producers who may be misleading you or failing to provide free-range bacon. You can work out who they are for yourself – just ask. Ask every time you buy pork, every time you eat out. Only if you keep asking (and saying no to everything except pork from pigs grown out on the paddocks) will things change. 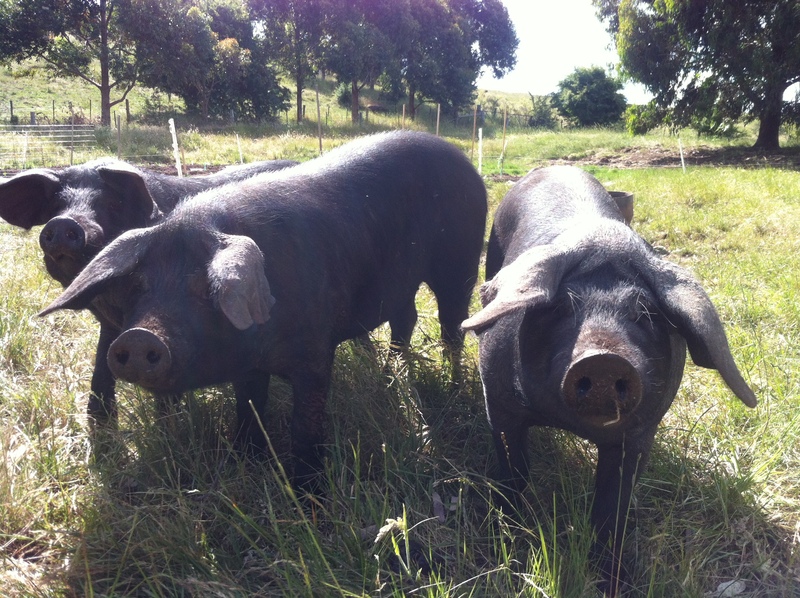 Here’s a list of genuine free-range pig farmers around Australia to help you decode the answer. But just what is it with the hypocrisy of ‘free-range eggs & bacon’ – that is, free-range eggs served with sad bacon – and our general willingness to accept it? While coffee is the new black – one restaurateur was quoted saying, “While they’re at it, we’d love to know where the beans are from and where they were roasted. Heck, we even want to know who roasted them!” I want to know – what about the bacon? So what about the pigs? If they’re raised in sheds, I guess there is no terroir, and in sheds they’re all roughly the same breed (mostly Landrace, aka ‘pink pigs’), so no breed variety to taste there. And you won’t usually find intensive growers standing up and telling you all about their pigs – this is not an industry that favours publicity. To be honest, I’m over it. If I’m eating out, I ask about the provenance of the pigs. If they can’t tell me, I don’t eat pork. If you feel like you just can’t make it without bacon that morning, substitute feta. I’m really glad that free-range eggs are so prevalent, but until free-range bacon is in all the cafes, I prefer my breakfast at home, thanks. I’ve already expressed my opposition to any proposed ag gag laws and related desire for more transparency, so today I’m going to be brief and blunt as I extend it. it’s wrong to confine an animal in a cage for the entirety of its life. The first four points are virtually indisputable, so I’ll say a couple of things about the last one. Some people obviously believe it is not wrong to raise animals for meat in cages. Their ethical code differs from mine, just as a vegan abolitionist’s code differs from mine. I say it’s unethical to cage animals. Vegan abolitionists say it’s unethical to kill and eat animals. I have pursued a life as a free-range pig farmer because I believe so strongly that people should have the choice of genuine pastured meat to help them stop eating animals raised in sheds and cages. I call myself an ethical farmer because we raise our animals on the paddocks in a way we believe is ethical. I do not say this to suggest all other farmers are unethical, however, as I’ve said, I do believe it is unethical to raise animals in cages. If you call your produce ‘farm fresh’ or ‘natural’, are you suggesting everyone else’s produce is rotten and fake? No? I didn’t think so. Some animal rights activists spend their lives trying to take footage of what happens in intensive farms because they believe so strongly that it is wrong to confine, kill, and eat animals. These activists are targeting intensive livestock farms, as well as live export. If you’re not confining animals on land or on a ship, they’re not likely to sneak in and film your operation. And if you share your own story, open your doors, and crucially, do what you say you’re doing, it’s very hard for someone else to catch you out. They are the canary in the mine, people, and if you don’t let the animals out you might get shafted. I would genuinely like to see a gentle transition that supports family farmers as they move away from intensive animal farming, not a shutdown of the industry that ruins lives while trying to protect animal welfare. It doesn’t have to be all or nothing, but it does need to change. Politicians may make more laws, but whistleblowers will find a way to uncover what they believe is an injustice, so why not just stop the injustice? PS Russ Patterson wrote a response to my original transparency post on Ann Britton’s blog. I’ve responded to his arguments there. The debate is raging once again around animal welfare activists trespassing on private property to obtain footage of conditions in intensive livestock farming. The activists’ stated aim is to expose what they believe are unconscionable practices in the rearing of animals. It seems the debate recently was re-ignited by a column by a celebrity personal trainer. A number of farmers have reacted with concerns about biosecurity on their farms and risks to their entire herd from disease and distress, as well as dismay at invasions of their privacy, and some have expressed support for so-called ‘ag-gag laws’ as introduced in the US. These laws make it illegal to film or photograph practices on farms without permission from the owner. There’s also been a mildly amusing open letter from ‘Bill the Farmer’ to the celebrity above asking her to live under constant video surveillance. 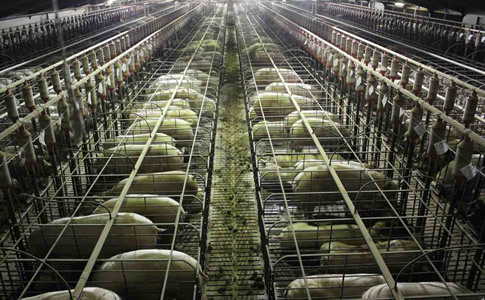 The hyperbole around factory farming and ag-gag laws includes allegations of activists as ‘terrorists’, factory farms as places of ‘horror’, and vegan ‘secret agendas’. Calling people who trespass to film animals in cages ‘terrorists’ is rather puerile and misinformed. Call them trespassers – because they are. Call them activists – because they are. Hell, call them criminals – because for those found guilty of said alleged trespass, they are. But ask a recently arrived asylum seeker from Afghanistan if they think animal welfare activists are terrorists and I suspect you might gain a little healthy perspective. Inflammatory rhetoric aside, I’d like to consider what’s at stake in this debate. I’ll start by setting out some terms I’d like to use. I usually steer away from the phrase ‘factory farming’ as I know it gets most intensive growers’ hackles up. To be clear, I don’t avoid it because I think it’s wrong (raising hundreds or thousands of animals in sheds in an industrial model is, in my view, rather accurately referred to as factory farming). But I want everyone in the discussion to be able to listen, so I try to avoid red flag phrases. I therefore use ‘intensive farming’ (and for the record, free-range farming is known as ‘extensive’). I won’t refer to ‘animal rights activists’, instead I’ll use ‘animal welfare activists’, because the movement is a broad church, and not all people who believe it’s immoral to cage animals share the view that non-human animals have rights as such. I also know intensive farmers who consider themselves animal welfare activists. I’m a free-range pig farmer, and I’ve considered myself an animal welfare activist since I was 19, but a vegan abolitionist would say I am in fact a murderer. And yet I would say we’re both animal welfare activists. I will use the label ‘ag-gag laws’, as I think they’re well understood now, and we don’t have a common alternative of which I’m aware. I appreciate that those who support these laws may take umbrage at the phrase, and ask that you bear with me. As I see it, there are a number of stakeholders in this debate. There are the animals in intensive systems. There is the soil and water on and around the farms. There are the people who work on these farms, including those who own the farms. There are the families of the owners – I’m thinking particularly about the family farms where they live somewhere on the property. And then there is the local community, and the broader community of people (from vegan to omnivore) who have differing levels of concern about the ways animals are raised on farms, whether they eat meat or not. Of course there are property rights, and trespass is illegal in Australia. So we already have a law that prohibits entering another’s property without permission to obtain footage of their practices. I accept and share the concern about fear and feelings of violation at someone trespassing on your property with an intent that is contrary to your interest. Anyone who has had their home broken into knows the feelings of vulnerability that arise after a burglary or theft. If a vegan abolitionist entered our farm without our knowledge to film our pigs, I would be worried about their other possible motives, whether my children were out on the paddocks by themselves at the time, and whether they took anything except images away with them. But they have no need to do that on our farm, because we practice radical transparency. We have documented and outlined on national radio all of our farm management practices in great detail. And we invite the public in regularly – in fact people are welcome any day of the week that we’re here (which is most). I reflect on how we really just need to move the pigs, not stop the visitor taking a photo. What we need are not more laws that will stop people trying to expose what they believe is an injustice. We already have laws to protect your right to property and privacy. Ag-gag laws must surely re-affirm the public’s concern that farmers have something to hide. Instead we should do as Australia Pork Limited (APL) did last year when footage was secretly filmed of an intensive piggery in NSW – APL got footage of the same piggery in daytime and stood by it. I personally was still unhappy with what I saw, and so continue not to buy nor eat intensively-raised pork, but I applaud APL’s transparency to enable me to make an informed decision. Bangalow Sweet Pork is another example of an intensive pig farm that has been prepared to be transparent about their farming practices. In 2009, they opened the doors for a Super Butcher video, and showed everything from their farrowing stalls to the group housing for growers. Again, seeing all those pigs confined in that fashion doesn’t sit well in my ethical code, but the information is there to empower the public to make ethical decisions. The court of public opinion is real, and whether we like it or not, largely determines what is and is not acceptable. It’s a blunt jury, often led by a vocal minority, and yet when the minority exposes practices to the majority in a compelling way, the majority start to demand change. Look at the growth of free-range eggs in Australia. Whatever issues there may be with the certification systems (and they are many), we didn’t have free-range eggs just 20 years ago unless you were a farmer or one of the rare suburbanites with chooks in your backyard. That movement has grown enormously, and we even have ‘caged eggs’ labeled as such. How I would love to see ‘caged pork’ written on labels! It is surely in nobody’s interest to criminalise those intent on exposing injustice, rather than welcoming greater scrutiny of industrial agriculture’s impact on animals? The more farmers practice radical transparency, the more the public will trust us, and the more we will continue to improve our practices. And if we’re transparent about our practices, we can combat the invisibility and lower animal welfare standards of imported pork smallgoods in Australia (70% of the total). Radical transparency is a powerful motivator to do your best, and I for one welcome it.